Highlighting hair extensions is a specialist technique. 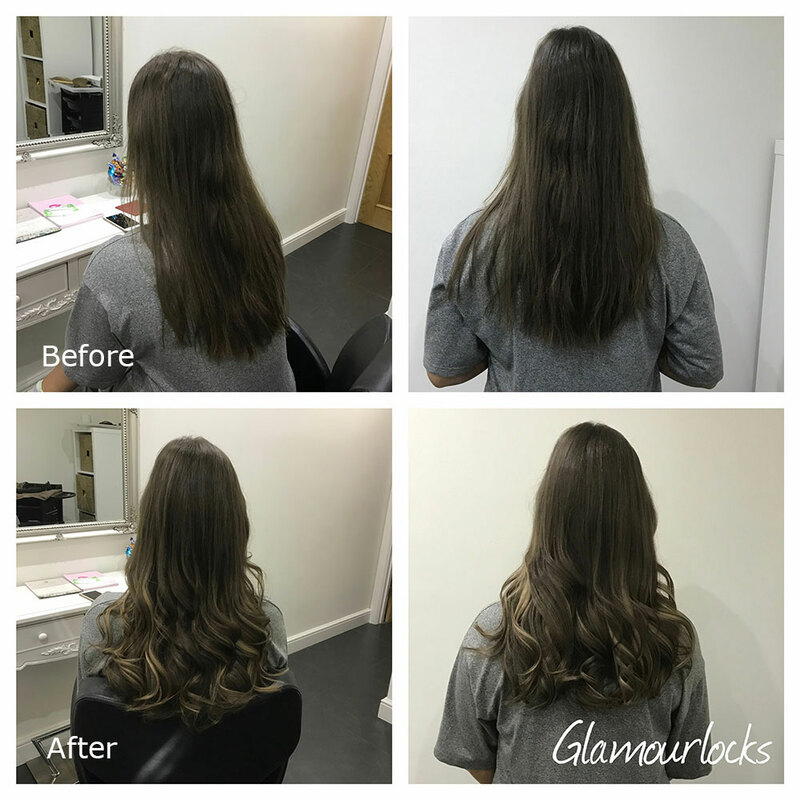 Glamour Locks are experienced professionals in this trade and can provide outstanding results. Sometimes clients do not wish to dye their own hair. Having hair extensions that have been highlighted can achieve the desired outcome without applying any products to your natural hair. Below is a picture of a client who did not want to dye her hair, but did want to add some colour. We achieved this look just by adding 25 individual hair extension strands that had been highlighted. The hair will last 12-18 months.